by Bill Dwight on Wednesday, May 16, 2012 at 2:25 PM | LEAVE A COMMENT! Did you know your bank or credit union can offer an innovative award-winning online youth financial literacy solution from one of the coolest startups in America for less than zero dollars? Umm, how’s that possible? By sharing revenue with us. 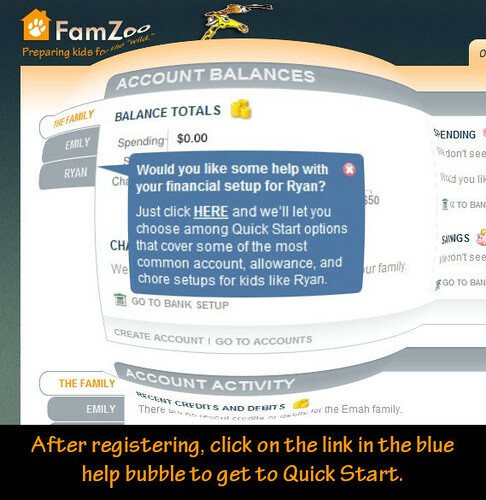 Just offer FamZoo to your customers or members through a registration link on your site, and we’ll share any ongoing subscription and renewal revenue from your families. You get half. We get half. 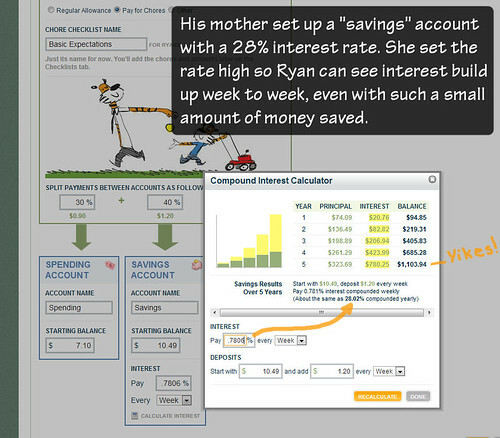 How much does it cost your financial institution to get started? Nothing. So, as soon as your first family converts to a paid subscription, you’ve spent less than zero dollars to offer FamZoo — meaning, of course, you’ve actually made money through our revenue sharing arrangement. What If You’d Like to Give Your Families Their First Year for Free? If you’d like to provide some special incentive for parents to get started teaching their kids good money habits, you might want to offer that first year for free by sponsoring your families. 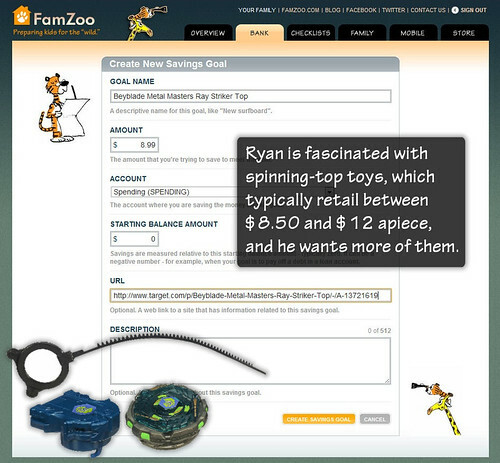 If so, you can purchase a basket of prepaid FamZoo subscriptions that can be redeemed by your families using a custom coupon code of your choosing. We offer volume discounts that start at 50% off our $30/year list price. 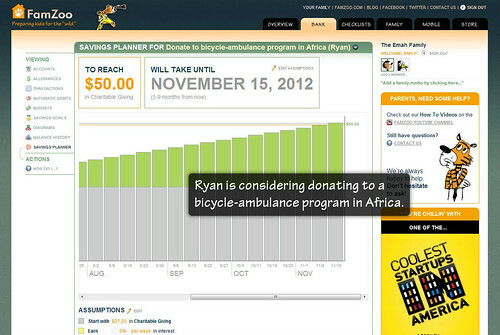 For example, you can start by purchasing a basket of 100 prepaid one year subscriptions for a total of $1,500. 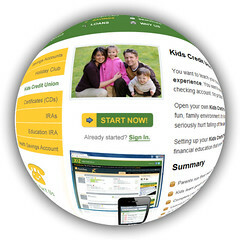 After their free year is up, your families have the option of renewing by signing up for a paid subscription. If they do, you’ll share the ongoing renewal revenue with us 50/50. 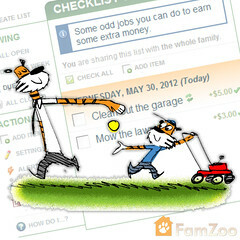 What If You’d Like to Sponsor Your Families for As Long As They Use FamZoo? 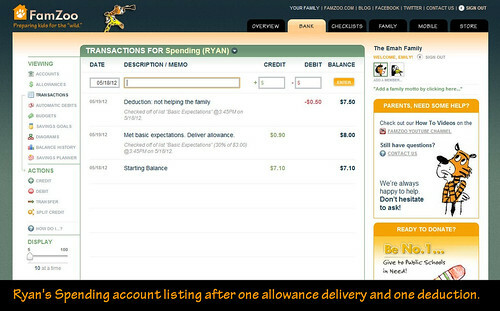 If FamZoo is part of your giving-back-to-the-community efforts, you may want to pick up the tab for as long as your families keep using FamZoo. 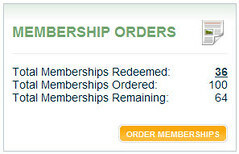 You can do that by purchasing baskets of discounted prepaid subscriptions just like above, but your families won’t have to enter a special coupon code (although you can require an access code if you like) and they won’t be asked to purchase a subscription. 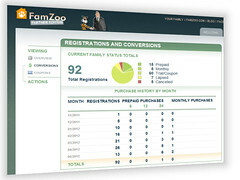 Note: On each successive anniversary of their registration, your families will be asked to explicitly acknowledge that they’d like to continue using FamZoo. 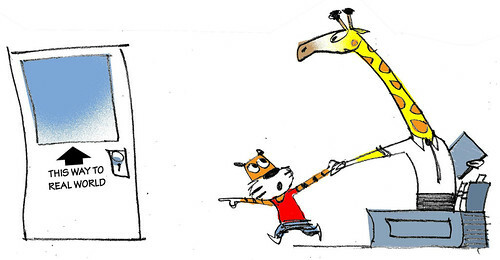 That way, you don’t get stuck paying for families who have since graduated from FamZoo. What If You’d Like to Display Your Brand to Your Families? 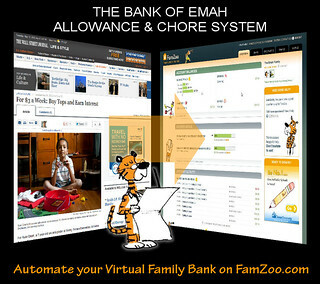 Would you like your financial institution to remain top-of-mind while your families are using FamZoo week-in, week-out over the years? The entry-level “static branding” option of our Partner Edition product allows you to feature your brand in the top banner area as well as along the right sidebar of each page in the application. You can even override visual styles and elements if desired. Just tell us how you’d like things to look, and we’ll make it happen for a modest one-time setup fee. 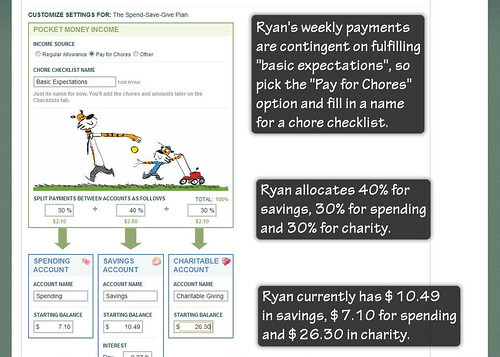 What If You’d Like to Schedule Targeted Offers to Your Families? Would you like to schedule relevant promotions and product offers to your FamZoo families while they’re using the application? Would you like to target your messaging to just the right audience — say, all parents who currently have a child 13 or older? 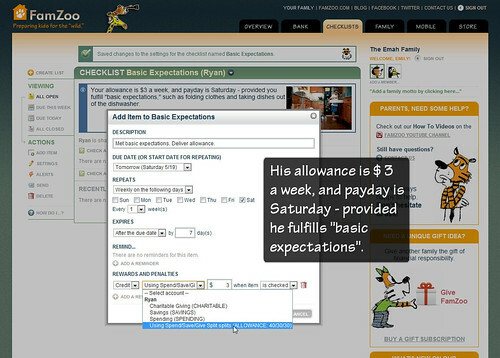 You can do that with FamZoo Partner Edition using our administrative console. You can place your own custom content in the top banner, along the sidebar, and within emails that are sent out to the family (like the weekly account summary email). Furthermore, you have complete control: you can use any HTML markup you like, you can schedule when it appears, you can dictate where it appears, and you can control what portion of your audience sees it — all on your own through our self-service administrative console. Of course, we’re always happy to assist! Access to the administrative console is available for a modest annual subscription fee. by Bill Dwight on Sunday, May 13, 2012 at 12:02 AM | LEAVE A COMMENT! All work is noble. 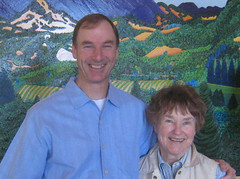 My mom always conveyed a deep respect for honest, hard work and enthusiastic appreciation for a job well done. Whether or not the labor was manual made no difference. The pedigree of the laborer was irrelevant. A frequent and indelible image from my childhood was my Mom offering home-baked cookies and refreshments to folks doing work at our house. 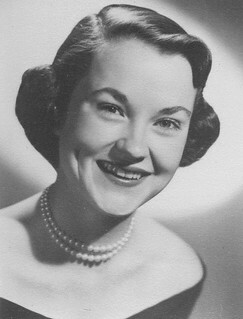 They were always delivered with a twinkly smile and a heartfelt thank-you. Work is good for the soul and deserves appreciation. The details matter. My wife and I will never forget the image of my Mom using a Q-tip to clean the space between the buttons on our kitchen blender when we were first married. It’s a funny little example of her attention to detail, not to mention her ability to select the right tool for the job! Take a little extra time to do the job right. People notice. Just do it — now. Growing up, my Mom would often remind us that a stack of clothes by the stair meant take’em up and put’em away. I now believe it was a subtle form of conditioning for a critical broader point: if you see something that needs to be done, take care of it — preferably sooner rather than later. When cooking, she’d always remind us: “if you clean up along the way, you won’t have much work to do at the end.” That’s wise advice that extends well beyond cooking. 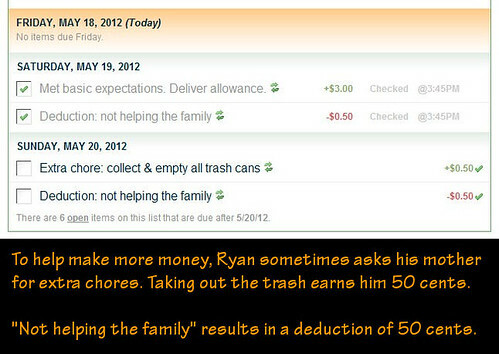 What did your mom teach you about good work and money habits? 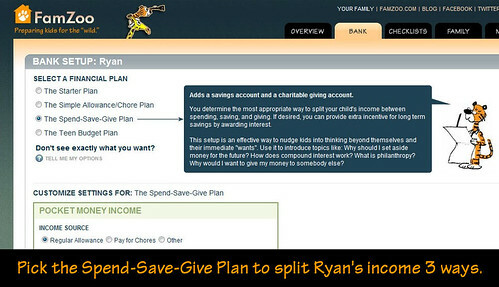 I’ve embedded a list of Mom-Money-Lesson articles from around the web below (also available here. Vote for your favorites. Seen another good post on the topic? Add it to the list. 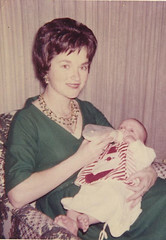 My Mom was, and continues to be, a fabulous role model for me. That, among many other reasons, is why I love my Mom.